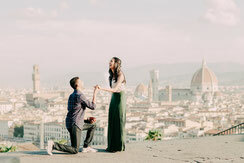 If you need a photographers and video makers to capture your engagement or honeymoon in Tuscany, we're available to shoot it for you. 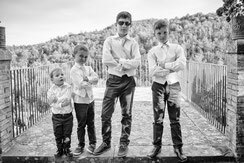 We usually propose a photographic service for around two / three hours: our long experience in this kind of services helped us to find the right amount of time needed to capture your couple’s service or family photos. We can shoot all kinds of services, such as wedding proposals, honeymoons or anniversary, here in Tuscany and other location in Italy. Special service: Bridal Boudoir photography is a personalized service to make sure that even the most intimate secrets of your wedding day can be lovingly preserved. Please feel free to Contact Us anytime to see how we can help you document of the most beautiful days of your life. We look forward to speaking with you soon!